""" keywords'/> "" " ""
God Has Made You Unique. There Is No 2nd You. How Can You Learn a Fine Art Like Acting With A Crowd? 1. The coaching is NOT based on a typical school system where students are taught in a bunch of 20 or 30 with a common syllabus for all. A school may not be in certain situations, concerned about whether a student who completes a course gets a break in films or serial or in commercial ads. An actor is an artist who masters a highly sensitive craft based on an individual's emotional and attitude built up and therefore there cannot be a common syllabus. As per the survey, the failure percentage of actors passing out of schools in India is 82% (CAA survey). 2. I design a career plan and syllabus based on an individual after weighing the strengths and weaknesses by auditions and by interviews before a candidate joins me.3. The learning journey of a candidate starts with understanding the "Game" of acting and how can you become a star in Bollywood and TV serials. It continues with types of actors, mastering techniques, camera acting, how to win auditions etc.. Finally leading to the most needed strategy development of how to market and promote yourself to get sure entry into Films, TV serials, commercial ads and print media. 5. 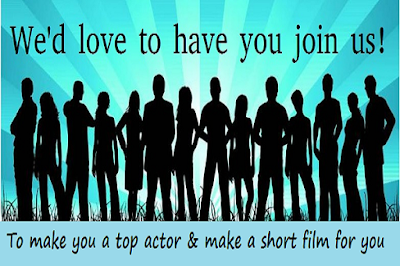 Suitable candidates get a break in our own short films. 6. The coaching sessions are taken 2 to 3 days a week on Tuesday, Thursday and Saturday at 2 PM to 5 PM for 5 weeks. How Can We Make You a Great Actor? Do you have an ambitious dream? Want to be sure to be an expert in the acting craft? And need all the notes and "an excellence certificate from 'A Master Coach'? Then go...Go...Go for this course! Absolutely on individual and personal 'on one on one' basis for a total of 30 hours spread over 2 months, 2 to 3 times a week in the afternoon. Either one on one or in a group of 1 or 3 aspiring actors for a total of 30 hours spread over 4 to 5 weeks, 2 to 3 days in a week in the afternoon. A special ﻿Weekend Course can be arranged for aspiring actors who are "Working Aspiring Actors"
Fees: Rs. 35,000 for a total of one and a half month | Each Saturday and Sunday i.e of a total of 12 days | Each session of 2 to 3 hours. 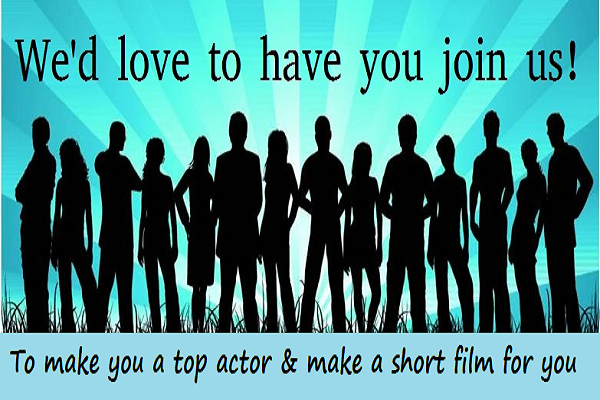 This includes filming and online promotion of a monologue specially written to suit you . It is a special course or "Urgent" course to suit an individual requirement of time/days available at him/ her. Obviously, this means that our other regular batch sessions will have to be postponed to suit this individual. The fees for such "Urgent" courses could be high and would be decided based on dates and time available with this individual. One half-day workshop on the fundamentals of acting and acting for the camera. NOTE: Outstation candidates will have to make their own arrangements for a stay. Wishing you to be a great actor! So, are you ready to be a great actor?